India’s food export to Bhutan is down 40 per cent in volume and 15 per cent in value this year according to Agricultural and Processed Food Products Export Development Authority. The volume of export in the first five months of financial years from April to August shows a dwindling graph from 18,572 tonnes to 13,139 tonnes and the value from Rs 131 crore to Rs 113 crore. Usage of pesticide residues beyond the Codex Alimentarius Commission’s limits was found in agro products exported to Bhutan. In the month of July, 2016 Bhutanese government imposed the ban due to high chemical content. 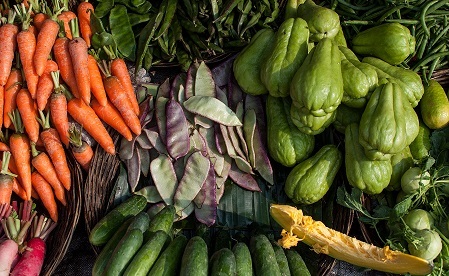 Bhutan is following a policy of ensuring healthy and nutritious food for its citizens. In a bid to become self-sufficient in food production the country is encouraging its farmers in the field of agriculture. 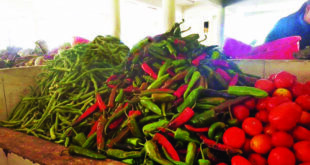 Earlier chillies from Falakata in West Bengal of India were used as key ingredients in traditional dishes in Bhutan. But the country has banned it due to presence of high chemical content. Similarly, farmers in Assam used to sell their produces via Darranga to Samdrup Jongkhar in Bhutan. But due to the ban the farmers in Assam witnessed sharp fall in their business. Though Bhutan has lifted the ban yet the country is now more selective on food products from India. While the European Union has been imposing bans on Indian food products, so have some in Asia. For instance, Vietnam had banned import of groundnut.